Radon is the most common cause of lung cancer besides cigarette smoking in the United States. Radon is scary because it is an odorless, colorless, and tasteless gas and therefore, is impossible to detect or remove without professional radon testing and radon mitigation. 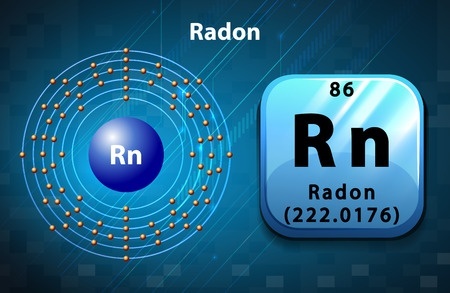 Radon is a gas emitted from the elements uranium, thorium, and radium, which is found in most rocks and soil. Radon is in the air we breathe every day and is not dangerous at all at low levels. However, at high levels radon is a killer. It can accumulate a house through cracks in the walls, cracks in the foundation, or from well water. According to the EPA, one out of every 15 homes contains life-threatening levels of radon. It is the cause of thousands of death each year from lung cancer. Every home should be professionally tested for radon and because most counties stipulate that a home must be tested for radon before completing a sale, you’ll find hundreds of radon testing and and mitigation companies out there that want your business. But because your family’s health is at stake (or the successful sale of your home) it’s crucially important that you choose wisely. Only hire a company that is certified by the EPA, your state’s Department of Health, and The American Association of Radon Scientists and Technologists. We are proud to be certified by all three. First, you’ll be instructed to keep your house tightly closed for a specific amount of time prior to your radon test (usually 12 hours or more). The technician will then set up radon testing equipment in the lowest living area of your home. You’ll need to keep your home closed tightly for the next 48 hours. Next, the technician will pick up the radon testing equipment and use it to generate a report. If dangerous levels are detected, a radon mitigation system will immediately be put into place. The most common radon mitigation system is called Sub Slab Depressurization. It reduces the amount of radon in your home to a safe level using a fan/exhaust pipe system. This system effectively pulls radon out from beneath the building and moves it through a pipe that extends up above the eaves of your home and safely outside. Can I reduce radon by sealing the cracks in my basement myself? No. Radon is a gas it can and can easily move through concrete. How long does it take to set up a radon mitigation system? We install most systems in just a few hours. Why does the fan and exhaust pipe have to be located outside? The EPA requires that the system is placed outside your house to ensure that your home is always safe from radon, even in the case of a leak. Must the exhaust pipe go all the way up to the roof? The EPA stipulates that the exhaust pipe be placed at least ten feet off the ground and extend beyond the roof eaves. Why is The Geiler Company a great choice for radon testing and radon mitigation? As a family owned business, we put our heart and reputation into everything we do. Not only have we earned the appropriate certifications for radon testing and radon mitigation, we have more experience in the field than most other companies in the area. Our technicians understand your concerns and answer all your questions before we get started. If you’re concerned about radon in your home or if you are considering a sale, please call us.